Domain name won’t work without hosting. Hosting (also known as web host) can be referred as a computer that not only stores your website but - most critically - makes it possible for other people around the world to find your website on their computers. More important than the computer space that is provided for web site is the fast connection to the Internet. Most hosting services offer connections on T-carrier system lines, which is many times faster than the broadband Internet speed you use at home or at work. A person hosting his/her own web site would require a similar connection and it would be expensive. Using a hosting service lets webmasters share the cost of a fast Internet connection. A good hosting company also provides you the tools and email accounts you need to create your website, such as Site Builder, Contact Form Builder, Blog, Forum, Guestbook, just to name a few. If you are a beginning webmaster and want to find something that is very cheap or free, you could try one of Free Hosting services. 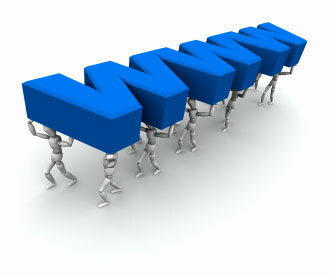 However, free hosting is only good for personal and casual websites. If you are serious about creating and designing a customer-centric website, you should have Paid Hosting. In addition, if your website needs to have high Google, Yahoo, and MSN search engine rankings, you may also want to have a dedicated IP (SEO Hosting) for your website.